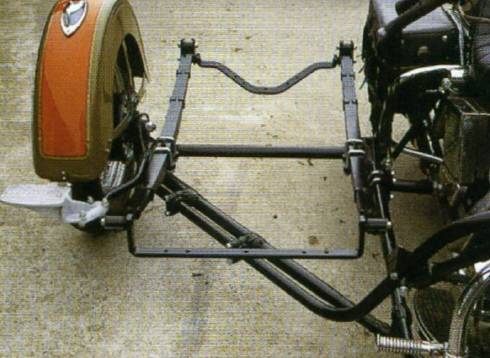 Lak Sidecars build three different types of frames, whereby a sidecar can be mounted on every type of Harley available, irrespective of its age or model. 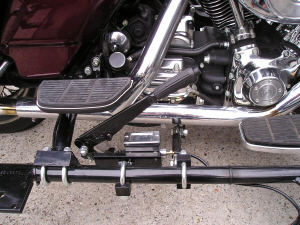 To accommodate the wishes of Harley drivers for maximum comfort, there is also a frame with a suspended wheel. 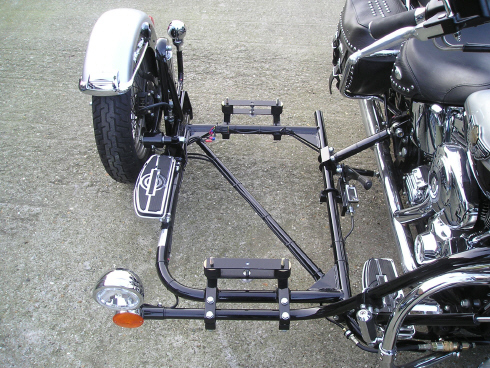 This frame too can be mounted on any Harley model, with or without leaf-springs. 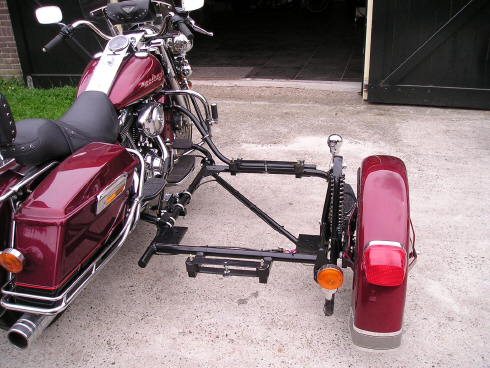 We also make left-hand sidecars (not for the LSR models). Should you wish to ride solo, then your sidecar can be disconnected in only 15 minutes! 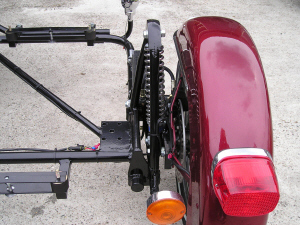 The replica frames are standardly equipped with either a mechanical or hydraulic drum brake as desired. 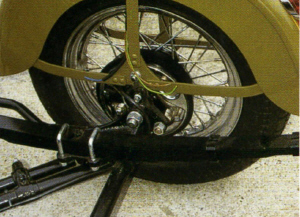 The frame with a suspended wheel is fitted with a disc brake. 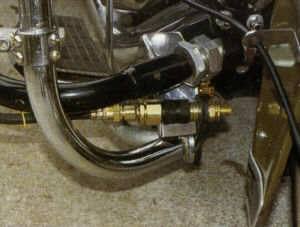 The hydraulic handbrake works with a extra claw on the sidecarwheel. 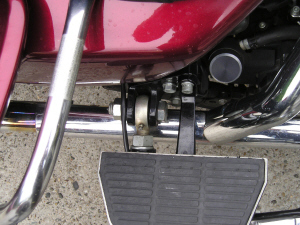 4-point mountings gives the Sidecar more stability.